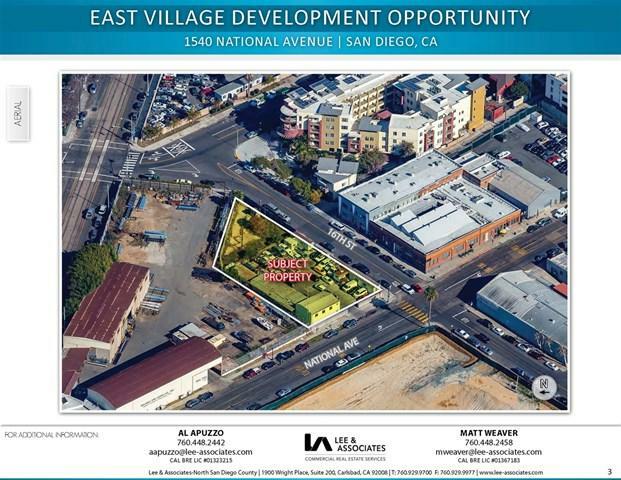 The property is located at 1540 National Avenue in the City of San Diego, CA. 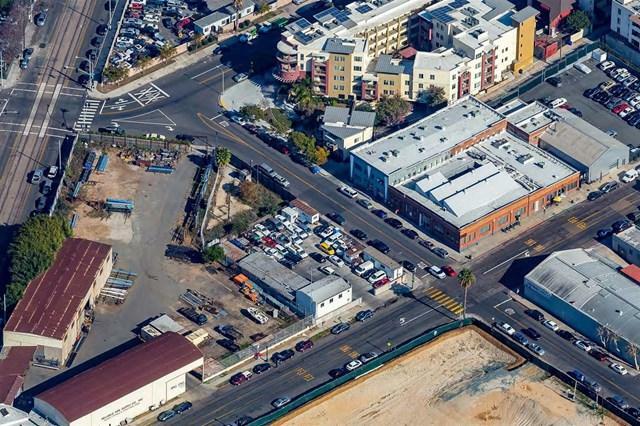 Approximately 1 1/2 blocks west of Interstate 5 this site provides convenient access to all of East Village and the Gaslamp, including Petco Park, the Convention Center and the Bay Front. FLOOR AREA RATIO: Base 3.0 | Max 4.0 with all incentives BUILDING HEIGHT: Min. 45+GG | Max 85+GG LOT COVERAGE: Max 100% SERVICES: Water/Sewer City of San Diego Public Utilities Electricity/Natural Gas San Diego Gas & Electric Fire San Diego Fire Department Police San Diego Police Department Seller would like to lease back the property for 6 months post closing.